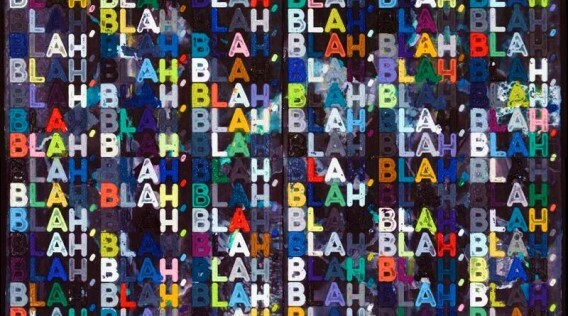 Credit: The gorgeous image above Image: “Blah Blah Blah” by Mel Bochner, 2012. This entry was posted in Culture, Social Media. Bookmark the permalink.